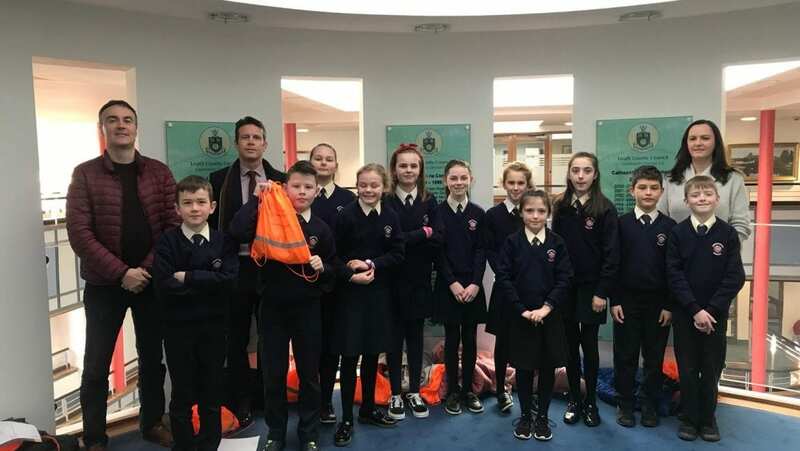 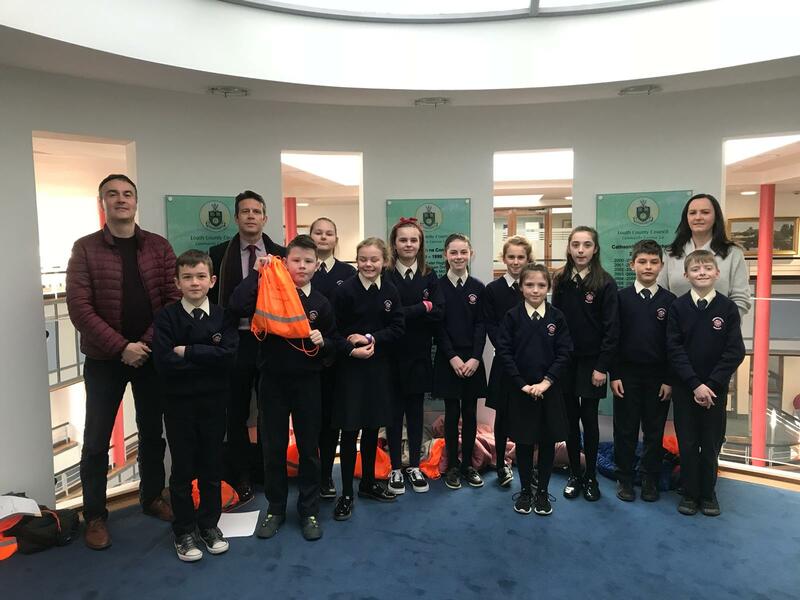 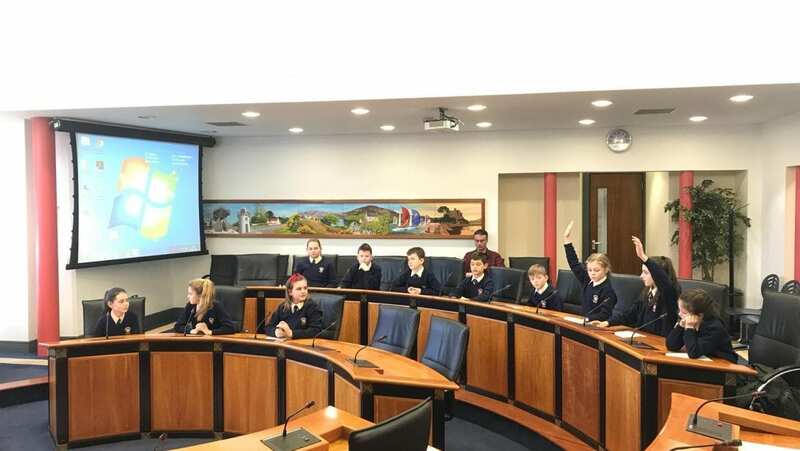 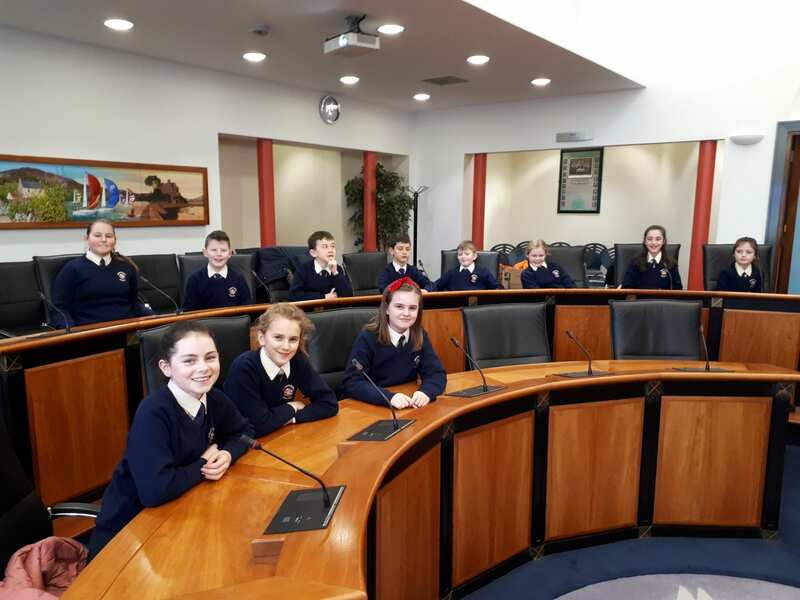 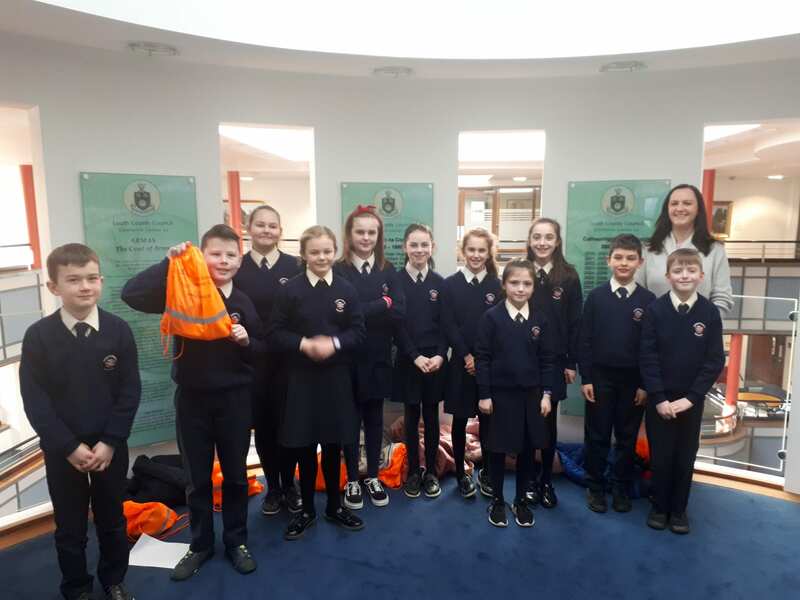 Today the Student Council paid a very interesting visit to the Louth County Council Offices in the Millennium Centre. 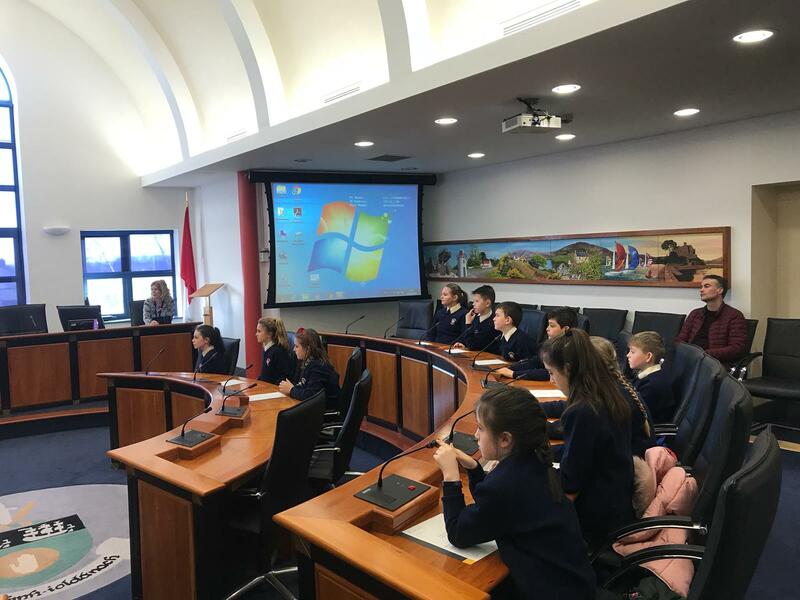 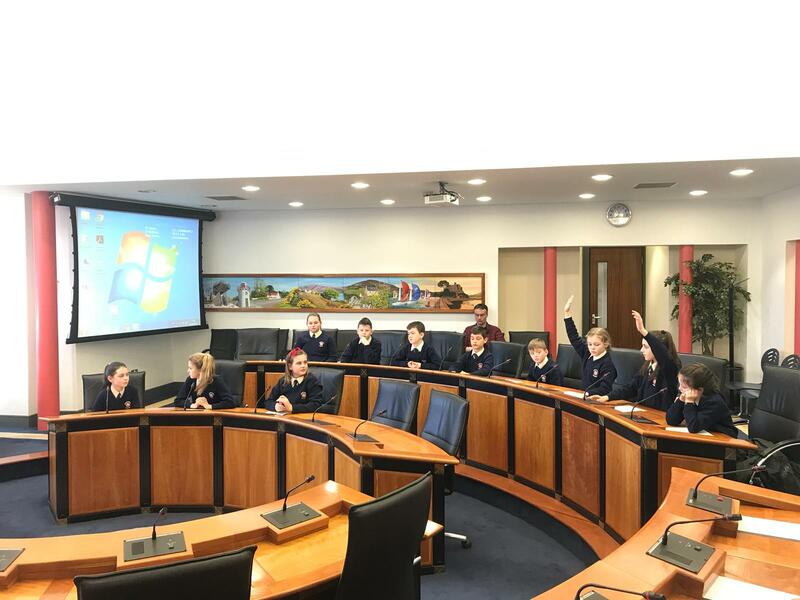 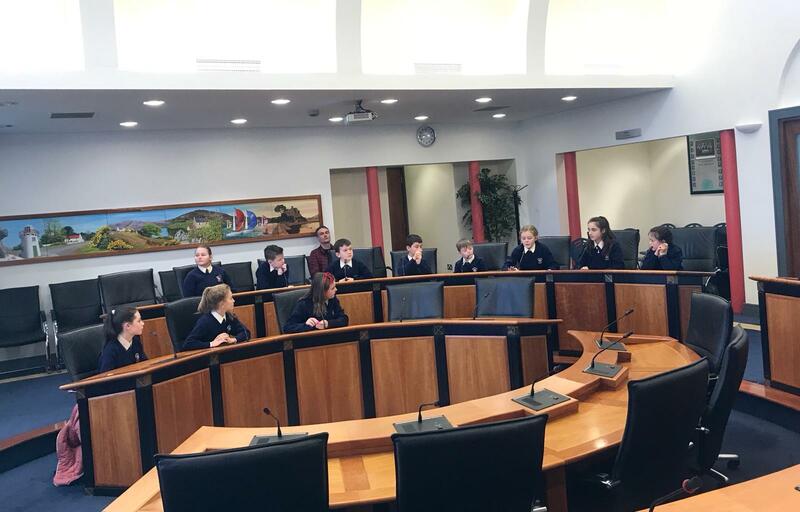 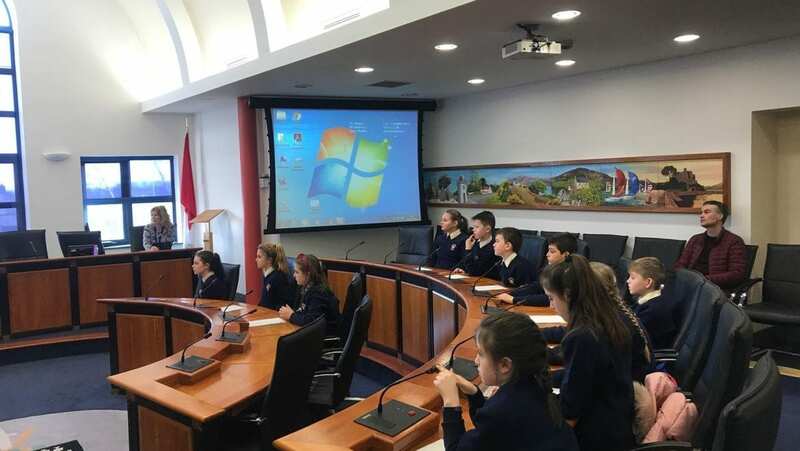 The students got the opportunity to sit in the chamber as they were given an informative presentation on the work and responsibilities of local government. 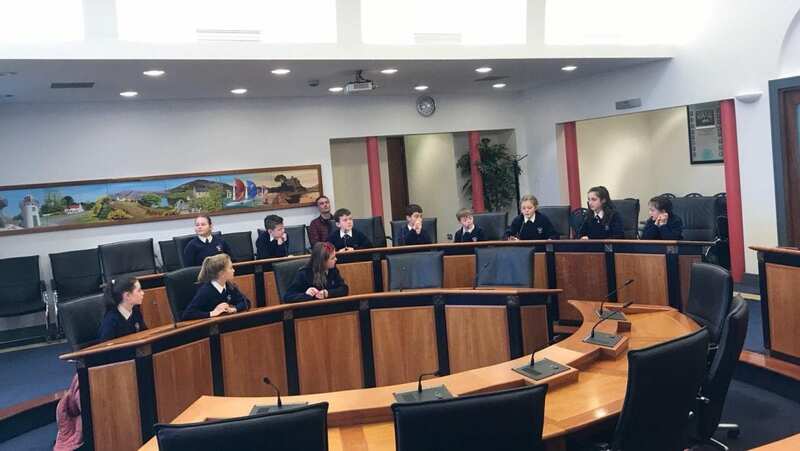 They also got the chance to use the chamber microphones as they engaged in a Q&A session with Barry Eaton from the Community Section and Christine Mullen from Corporate Services. 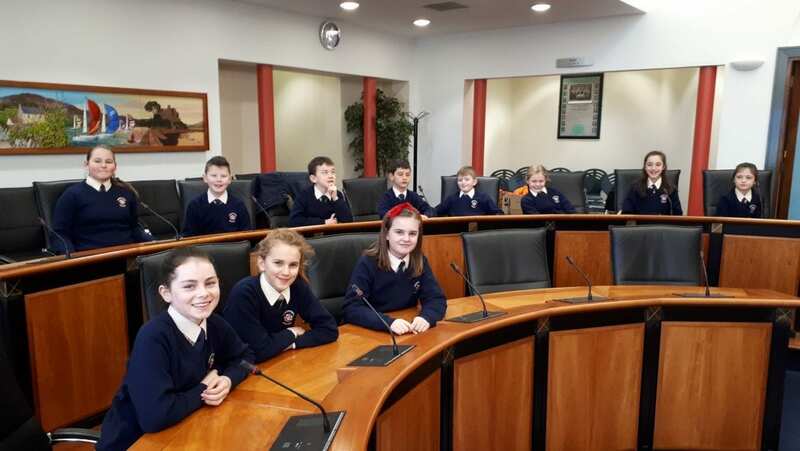 Following that, they participated in a lively debate against Dundalk CBS on the pros and cons of schools uniforms. 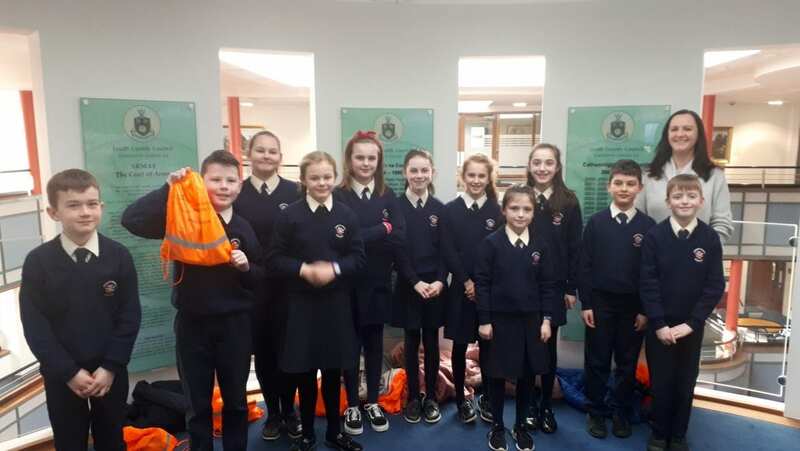 Many thanks to Louth County Council for the student goody bags and to Councillor Maria Doyle for helping to organise the visit and make it so interesting and enjoyable for everyone.